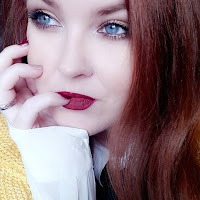 Starting a new chapter (or new blog entirely, as I've done here) means I get to catch you up on some things without muddying where I am now with where I was then. Long time readers of The Agoraphobic Fashionista blog will know that I went through a (well documented) journey with Slimming World. There were pros and cons to that journey and I really do wish to share them with you. Through my time with Slimming World I was able to lose over 11 stone in weight. In my own personal situation, it was weight I had to lose for health reasons. This isn't always the case as size and health do NOT go hand in hand, this was my own personal set of circumstances, everybody's is different. I found, within no time at all, I became obsessive about meal planning, food tracking and weighing. I weighed in once a week but I would also check my weight at home before I went and throughout the week. This was the worst way I could have begun and, needless to say, it went even more downhill from there. Fast forward 2 years and I'd lost 11 stone. A magical light switch moment did not happen. I didn't suddenly see myself differently. I didn't feel better about myself. I'd simply lost weight. I had gallstones as a result of losing weight too fast and I had some loose skin. My body certainly did not look how I'd envisioned my result. My issues were not about my size at all. It's been a couple of years since drawing a line under my obsessive ways and Slimming World and I'm slowly piecing together a new relationship with food. I want to focus on good food that allows me to feel healthy, both in body and mind. I want to be able to look after myself and my body and I think that's where a lot of us fall down with plans such as Slimming World. It's a process that doesn't feel good and I didn't feel empowered or in control, even though I was essentially controlling what I ate, it was all geared towards fast weight loss and sometimes it's not as simple as that. I'm excited to document this new journey with you!